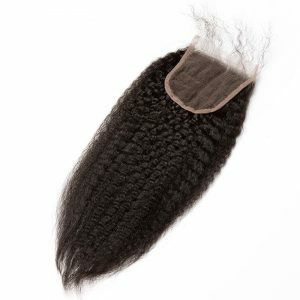 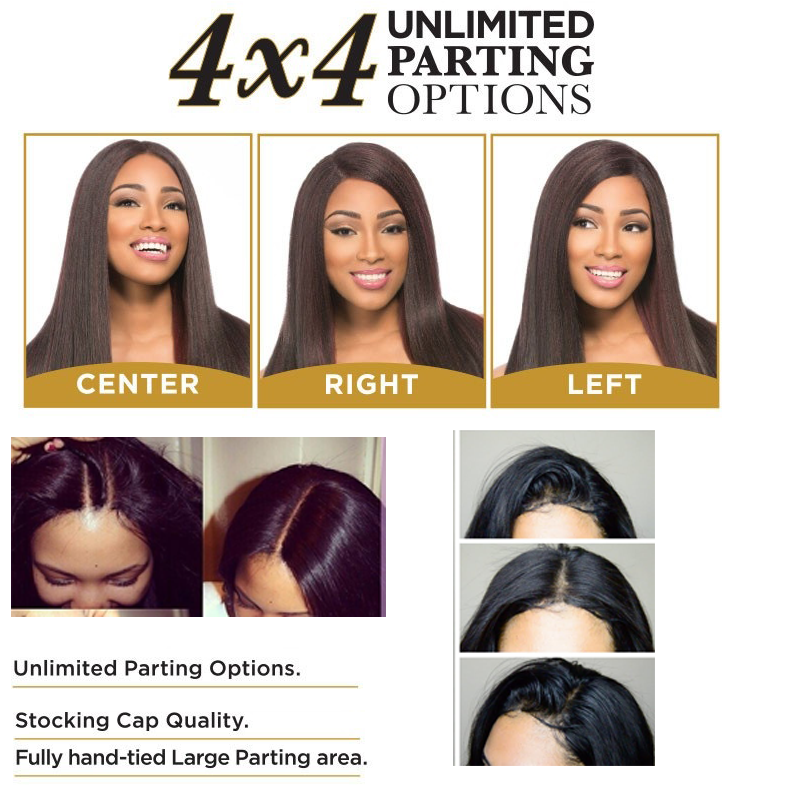 Our 4×4 lace frontal closure is made with medium brown Swiss lace with for natural looking parts that can be styled in any direction. 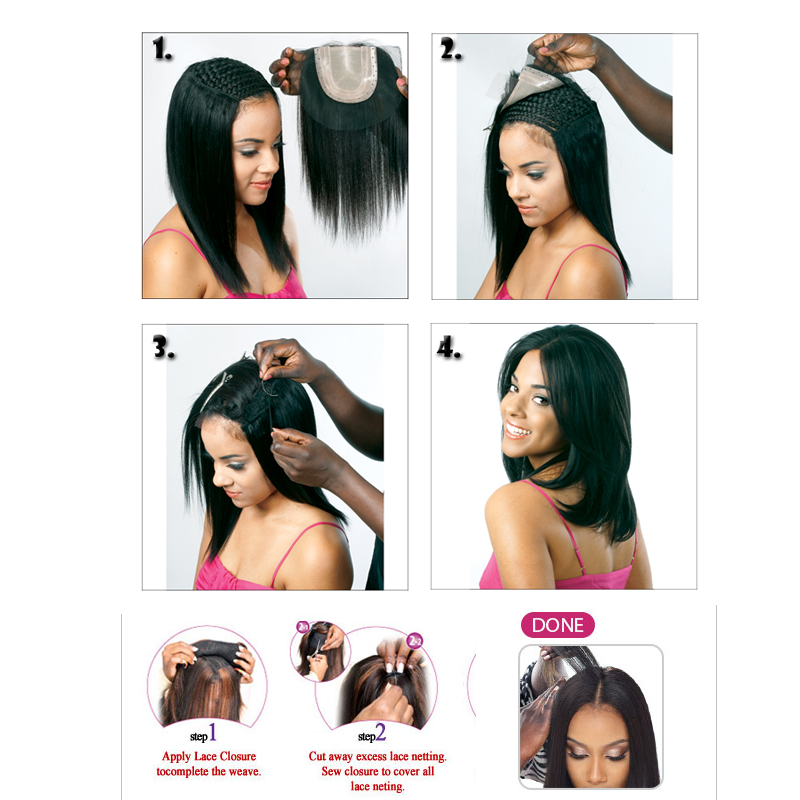 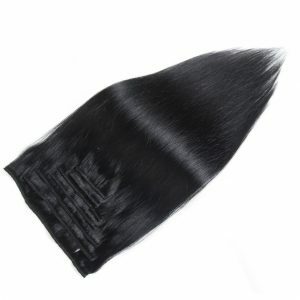 Made with 100% Remy human hair, our lace closures are hand-tied with 130% density for all the volume and texture you desire. 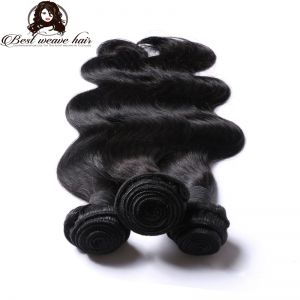 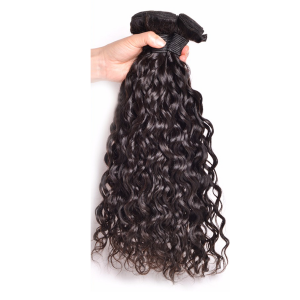 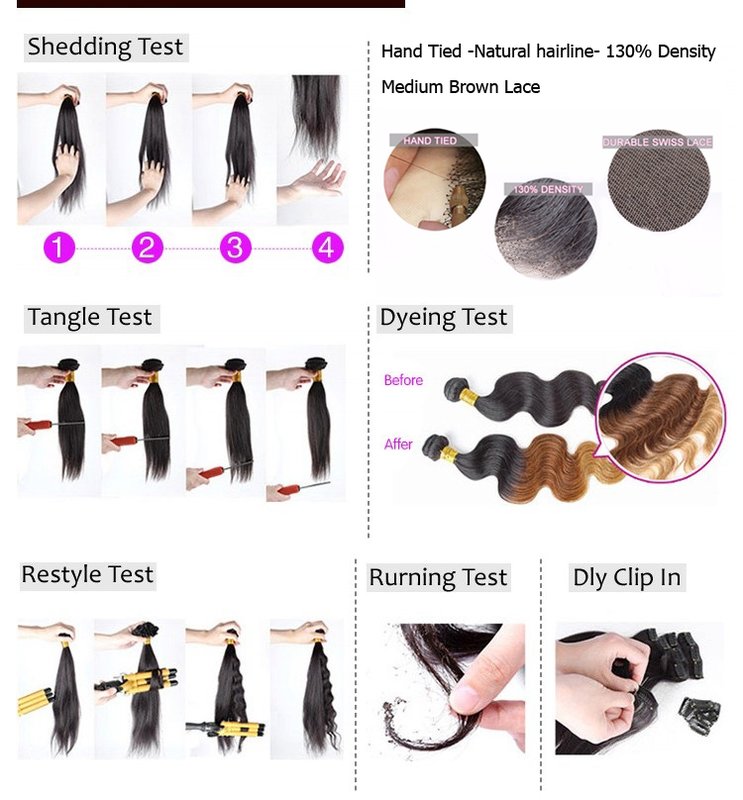 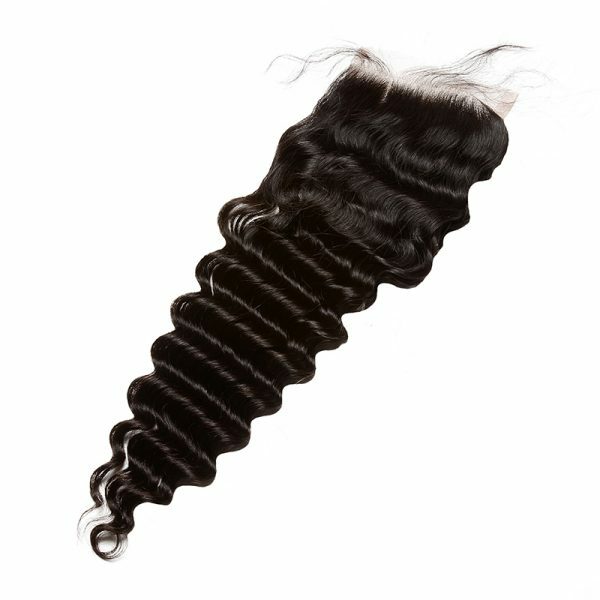 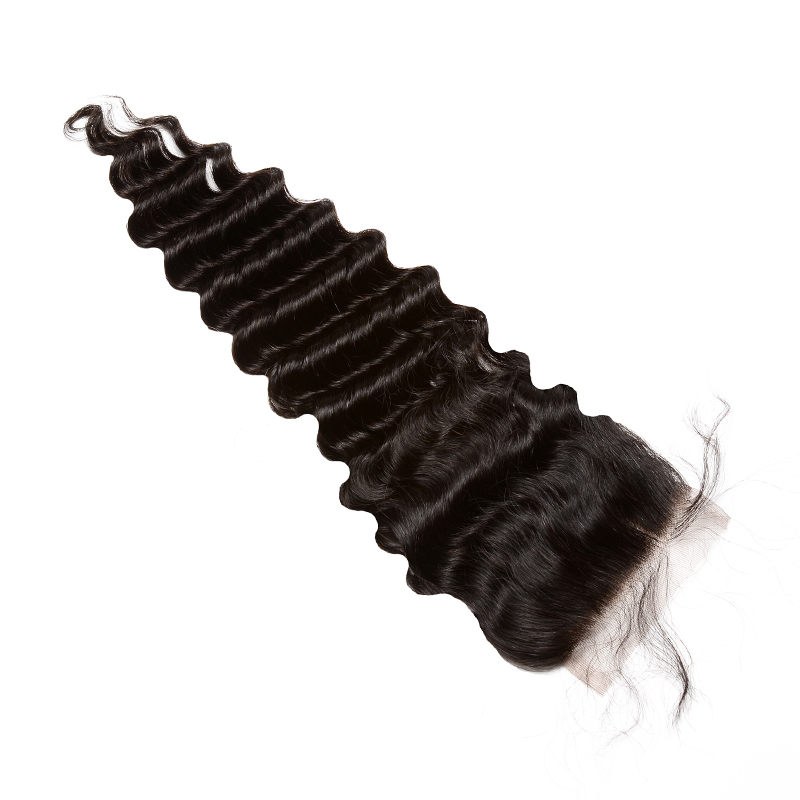 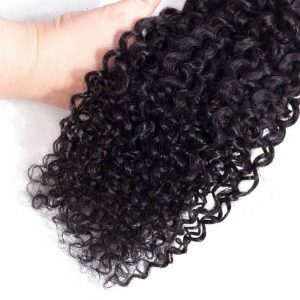 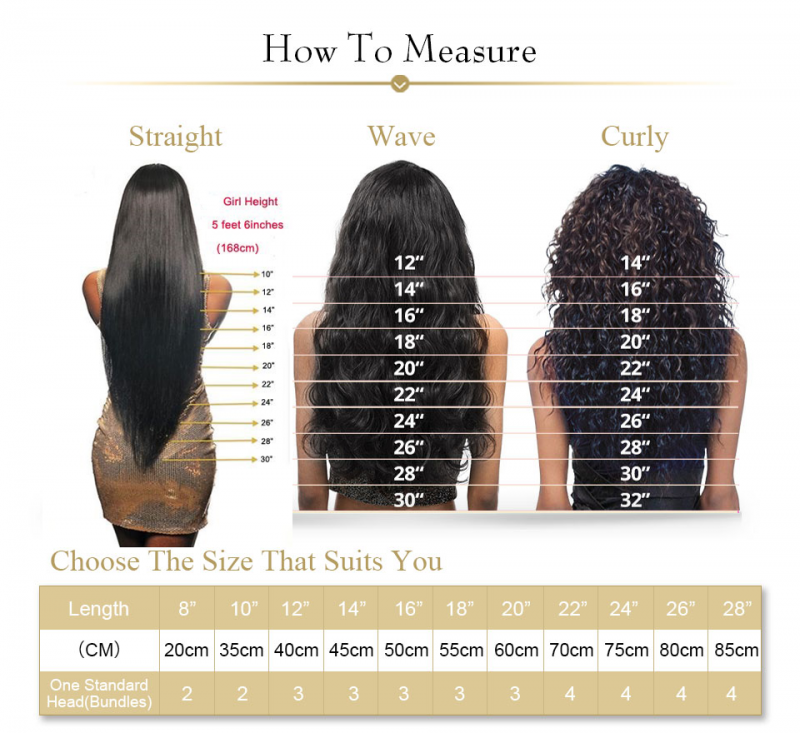 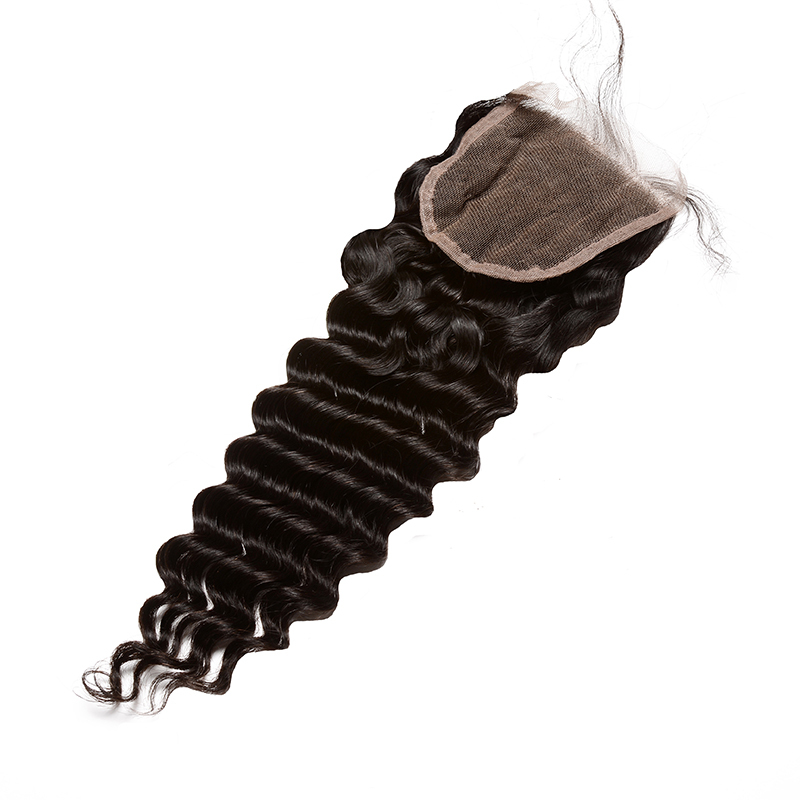 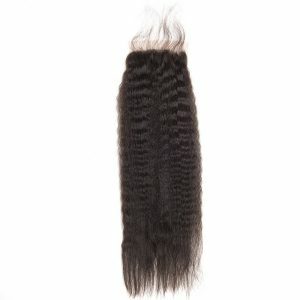 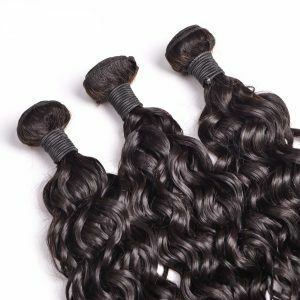 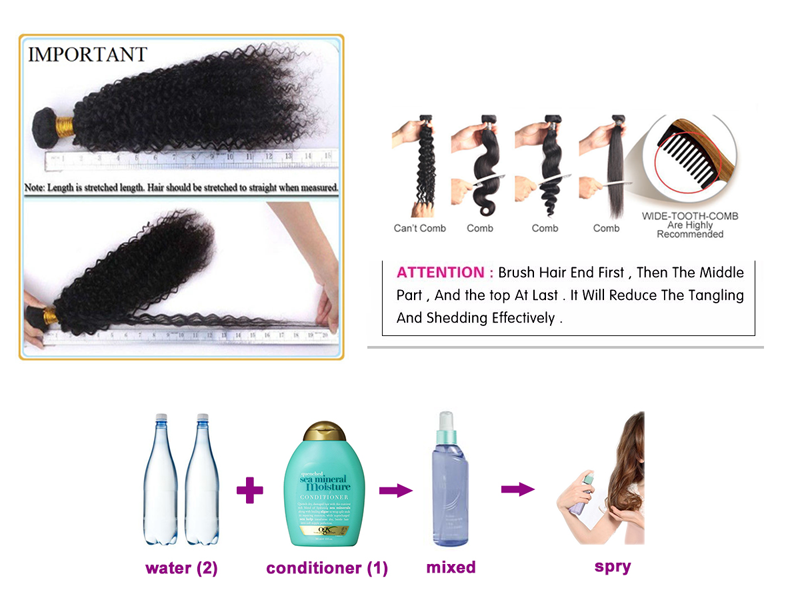 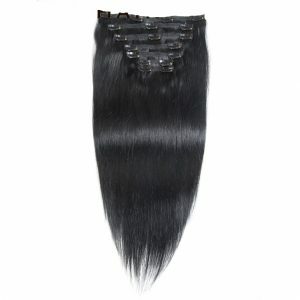 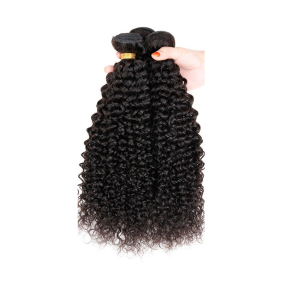 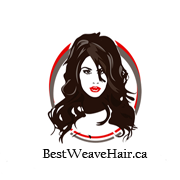 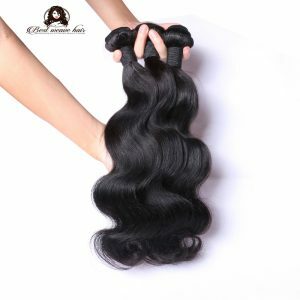 Style this curly hair weave any way you want with the flexibility and realistic look of our 4×4 human hair closure with added baby hairs around the hairline for a natural and blended look.